Norah Bloomfield is feeling a bit unneeded these days, a bit lonely. Her father is quickly recovering his health, and her sisters, Valerie and Stephanie, are busy planning their weddings. Then, from out of the blue, a cantankerous Texan named Rowdy Cassidy crashes into Orchard Valley. And into Norah's life... The same Rowdy Cassidy who'd been Valerie's boss--and who'd demanded she cancel her wedding. Now he's Norah's patient. And in all her nursing experience, she's never encountered a more difficult man. Or a more irresistible one! Yes, she falls in love with him. 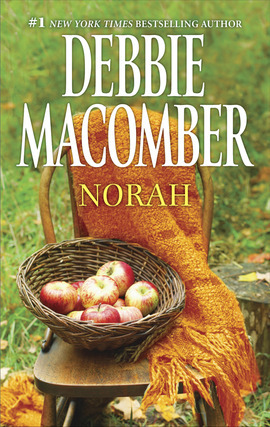 And that's a mistake--because Norah has good reason to believe that Rowdy's still in love with her sister.